The Chief Minister said that fire brigade, Kolkata Municipal Corporation and other authorities have joined in rescue operations. 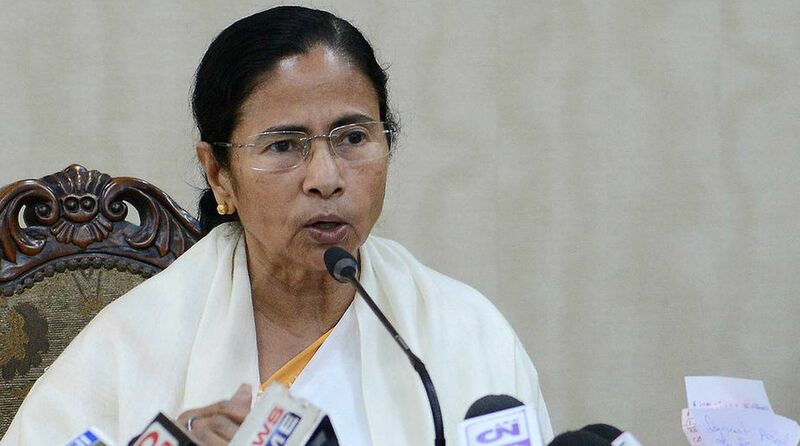 Chief Minister Mamata Banerjee, who is currently in Darjeeling, said that she is in touch with the rescue teams on the ground at the Majerhat Bridge collapse. She said that there is no confirmation of any casualty but rescue operations are in full swing. “Our team is focused on relief and rescue work. Our priority is relief and rescue. Rest of the investigation will be done later,” the CM said. “Police is investigating the matter. A detailed investigation will be done later, our main focus right now is rescue and relief operations,” Banerjee added. The Chief Minister said that fire brigade, Kolkata Municipal Corporation and NDRF have joined in rescue operations. “We want to go back as soon as possible. There are no flights in the evening; we are unable to do so but are trying to find an alternative,” she said adding that her thoughts are with the people affected and the situation. At a later briefing with the media, Banerjee said that there was a hut underneath the bridge which housed a few labourers working on a railway project. “If the labourers were in the hut at the time of the incident, some lives may have been lost,” said the CM. Rescuers were seen trying to reach the hut to check for trapped persons. Urban Development Minister Firhad Hakim said that six injured people have been rushed to the hospital. The Majherhat Bridge in Kolkata’s Alipore locality collapsed on Tuesday following heavy rains in the city. Cars and a city bus were seen trapped on the bridge as panicked locals rushed to the site to help save the lives of those feared trapped underneath the debris. Majherhat Bridge is located next to the Kolkata Port Trust Hospital and connects Alipore with the rest of the south Kolkata neighbourhood. Its proximity to Garden Reach and Khidirpur makes Majerhat Bridge one of the busiest in the city. This is the second major bridge collapse in Kolkata. On 31 March 2016, the under-construction Vivekananda flyover in the Girish Park neighbourhood collapsed killing 27 people and leaving over 80 were injured. 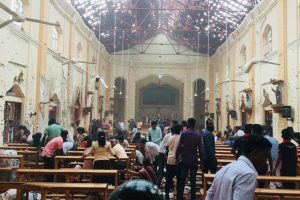 Immediately after the incident, locals, who rushed to the site, said that they heard a thundering sound and before the electricity went out. They said that many could be trapped under the debris and it is not clear how many may have died. Meanwhile, Bharatiya Janata Party (BJP) leader Mukul Roy accused the Trinamool Congress government of ignoring the maintenance task of old bridges such as Majerhat Bridge. “State Govt and CM are responsible for this bridge collapse. They are saying beautification of city is on, but repair work of old constructions is not on her (Mamata Banerjee’s) mind. State government should take complete responsibility of this collapse,” he was quoted as saying by ANI. Roy, a former Trinamool Congress leader and Rajya Sabha MP, served as Railway Minister for a brief period during the UPA rule.